Reporting directly to the CEO & President the VP Business Development will proactively identify new business opportunities, manage relationships with new and existing clients and oversee the effective development of key accounts. As a key role in the organization, this position requires someone who leads from the front through a strong commitment to service delivery. We require a team player with the ability to build strategic and profitable relationships, prioritize and multi-task in a fast-paced environment and have exceptional problem-solving skills. The right candidate for this position is someone who is a strong relationship builder and passionate about growing the business. We need someone who will foster an environment of continuous improvement and build bridges with colleagues and peers while ensuring that the needs of both the company and department are met. Furthermore, you will lead the Marketing team to drive increased conversion rates and grow revenue, by developing and implementing varied, and integrated, marketing and communications products and services including: newsletters and other print publications; web, e-news and other online communications; media and public relations; and marketing, supported by a communications coordinator. Serve as a senior member of the management team, determining the strategic direction for business development, communications and marketing overall. Maintain professional and technical knowledge by attending trade shows, reviewing publications, establishing personal networks, benchmarking state-of-the-art practices and participating in professional societies. Bridge global partners with PKs key management, product development, and financial teams. Create sales forecasts and manage the entire sales process to meet quarterly sales targets. Initiate and coordinate a strategic business development & sales plan to penetrate new markets and increase PKs global presence. Formulate long-term objectives and standards of performance for the sales and marketing team by developing SMART goals, assessing progress and coaching reports to exceed targets. Ensure that the team is scalable and well positioned to produce consistent results. Act as a mentor and a coach to peers and direct reports alike and inspire sales representatives and account managers to follow defined processes. Be an inspiration by example, and keep the team fired-up. Provide regular forecasting and sales pipeline/funnel updates. Qualify opportunities effectively to increase the sales funnel pull-through ratio. Support the product development team, with an exceptional understating of professional audio solutions, in formulating requirements for enhancing new and existing products. Serve as marketing and communications subject matter expert, both internally and externally. 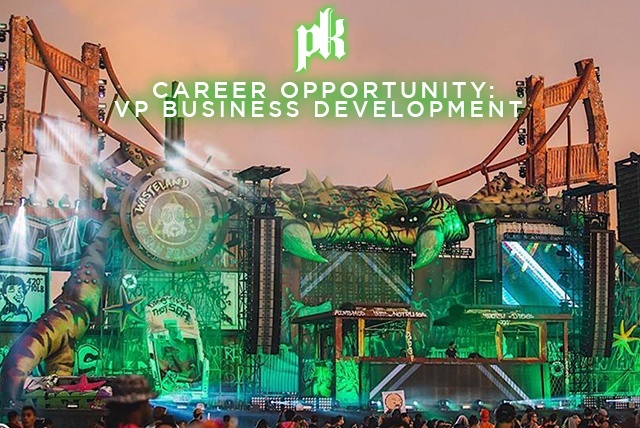 Develop and implement an integrated strategic communications plan to advance PK’s brand identity; broaden awareness of its products, services and priorities; and increase the visibility across key stakeholder audiences. Actively engage, cultivate and manage press relationships to ensure coverage surrounding PK’s programs, special events, public announcements, and other projects. Exercise judgment to prioritize media opportunities, and prepare talking points, speeches, presentations and other supporting material as needed. A strong, active and experienced leader who isn`t afraid to roll up their sleeves when required. Strategic-minded, with an eye for detail. Extremely versatile - can work in a fast pace, demanding, and quickly changing work environment, anticipating future needs and making good decisions. A creative problem solver and opportunity finder. Not just an order taker. An exceptional negotiator who practices sound judgement with ability to make informed and effective decisions, including conflict resolution. Goal orientated with the ability to define those goals. A dynamic, results-oriented and passionate leader that has demonstrated a successful track record of educating and empowering team members to exceed targets. An experienced salesperson that knows how to turn prospects into sales with proven selling methods. A comfortable and confident public speaker with a positive, optimistic attitude regardless of the situation. An excellent, persuasive communicator, with organizational skills to match. Are self-motivated, with the ability to motivate those around you. Comfortable identifying and challenging prospects and clients on new ways to improve process, efficiency, and productivity - a value creator. Proficient with a variety of professional computer applications – MS Office, CRM and ERP systems. Comfortable managing seasonal and complex market(s) needs. A strategist who can identify markets to pursue and align resources for success. Experience selling business-to-business services for at least 10 years, with a minimum of 4 years in a senior management position. A high degree of business & financial acumen, with in-depth knowledge of current and possible future practices/trends. An existing professional network in the A/V industry. Qualified prospects over phone and email. Worked in a small company environment. Created implemented individual, team, and corporate sales plans. Professional experience, or a personal interest in, music and music technology. Overcome every objection, and every gatekeeper, to reach decision makers. Worked in team selling environment where collaboration and cooperation was required. Implemented sales training programs that enable staff to achieve their potential and support company sales objectives. An excellent track record of managing a growing team in different geographical locations. Strong forecasting and reporting capabilities. The ability to translate complex technological details into concise and easy to understand written form. Experience in planning marketing & sales strategies, advertising campaigns, and successful public relations efforts. Degree(s) or diploma(s) supported by proven sales & marketing experience is desired, but not required. Minimum of 5 years’ experience in a senior management role either in-house or with an agency. Valid driver’s license, access to a vehicle and proof of insurance. A valid passport, with the ability to travel without restriction. This position provides a competitive salary and profit sharing package to the right individual. Car allowance, company mobile phone and laptop.